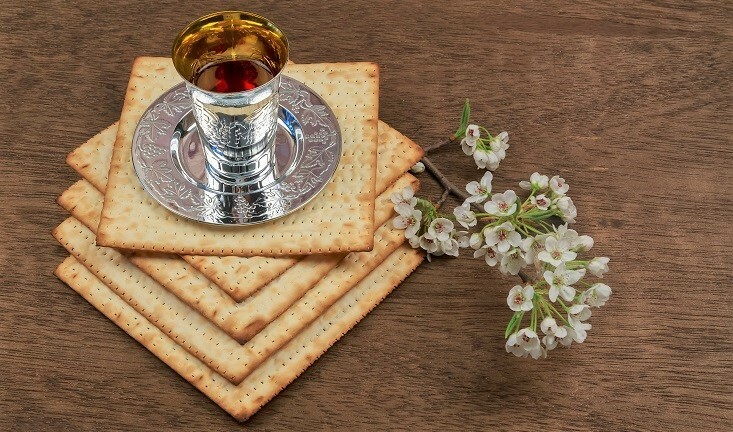 Every Spring, Jewish people around the world celebrate Passover, an eight-day holiday that commemorates the Jews’ liberation from slavery in ancient Egypt. Passover is celebrated with a Seder, a meal that is part overindulgence and part history lesson. The defining feature (besides the food!) is the reading of the Haggadah, a book that tells the story of Passover and that is read before and after the meal. As someone who grew up in a Jewish community, Chef Sue discovered, as an adult, that the Passover Seder is most rewarding when Jewish and non-Jewish people come together to remember a difficult time in the past and to look forward to a day when we can live together in peace and freedom. Join us for a non-traditional Passover Seder. There will be plenty of matzo ball soup, brisket, and potato kugel, as well as a few dishes you might not have enjoyed at a traditional Seder, but we’ll dispense with the Haggadah and offer instead just a hint of a history lesson. Zea May’s Kitchen is a mission-driven business that strives to promote an understanding of Native American cultures through food. The name “Zea May’s” comes from the scientific name for corn: zea mays, First domesticated in Central American thousands of years ago, corn became a staple crop throughout the pre-conquest Americas, and today it is one of the most important food crops in the world. Zea May’s Kitchen is owned by Sue Wasserkrug, a 20-year resident of northwest Philadelphia. Trained as an anthropologist, lawyer, mediator, and photographer, Sue is a self-taught chef who loves to share food inspired by Native American culinary traditions. She has had a life-long interest in Native American cultures, possibly because she was Native American in a previous life. You may have enjoyed some of her food when she operated a food truck in Philadelphia a few years ago. As noted above, Sue was raised in a Jewish family. Click here to learn more about dinners at the Cope House.